Odometer is 9389 miles below market average! Priced below KBB Fair Purchase Price! 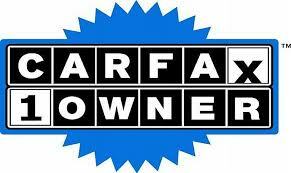 CARFAX One-Owner.
" I wanted to take a minute and tell you how great I think your service staff is on Oleander Drive in Wilmington. Their level of competence and their people skills are unmatched. They service my taurus and my explorer, the explorer which I will be trading for a truck soon- so your service staff gave your sales department a great chance of selling me a vehicle. While I was at your facility, I heard you were expanding your bodyshop and service department. My company already performs inspections and maintenance for y... "
" OUr recent purchase was completely painless. From beginning to end, it was a nice experience. Salesman even took the time & effort to come out - saving us a trip into Wilmington to sign papers so he could process the loan info. JESSE MALLETT IS YOUR EMPLOYEE OF THE YEAR IN OUR OPINION! Actually the Entire staff is GREAT! "